題目：Why do you want to work at the library? 但不相關：I think library is a very great place for people to study because the enviroment is quiet. I love to study in the library everyday. 相關並完整：I want to work at the library because I want to get some hands-on experience working with students. Also, I am very passionate about reading and I love the relaxing environment in libraries. 1.開頭首句要直接的表達出你的看法，而且用到問句的一部份。例如 I am a dedicated employee and I will come to work even if I don't end up loving my job. 2. 接著要有幾句理由或是作法來支持你的開頭，例如 I understand that it can takes months to feel comfortable in a new working environment. If I still have concerns about my job after a few months, I will ask for a meeting with a manager. Perhaps I would just need to try a different aspect of working in the library. 3. 最後絕對別忘了用一句話結論，如 Lastly, I would never leave a job without offering a two-week notice. 1. 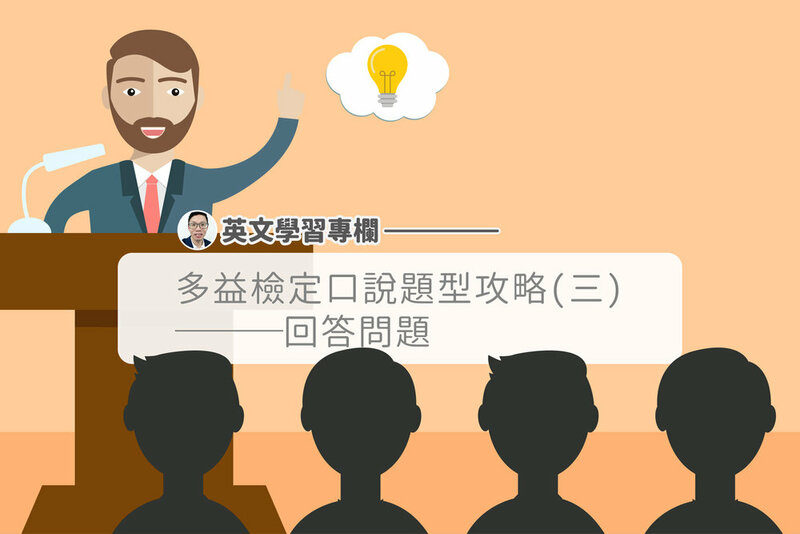 開頭首句要直接的表達出你的選擇，而且用到問句的一部份。 例如： I would have to say that my favorite part of the house is bedroom. 2. 接著要有幾句理由描述為什麼你選擇這個人事物，例如: The reason why I say this because I think the bedroom can give me a sense of privacy. It is also a place where I can relax. 4. 最後也別忘了用一句話結論，例如：These are the reason why bedroom is my favorite part in the house. 【英文口說】gonna / gotta/ wanna 大比較，一次搞懂所有你常聽到的英文縮寫! 【英文寫作】老是分不清as long as, as soon as嗎? 常見的「as」的6種用法和5個相關片語一次破解!